Kids who have shared experiences in areas they are passionate about often enjoy deeper learning, form positive, lasting friendships and feel a greater sense of belonging to their school. For many students, it is the connections made in the theatre, music room, creating the yearbook, working with Student Council, participating on a major field trip or in the wide variety of collaborative projects and extracurricular experiences that will shape their most memorable moments. Participation in school sports is one way to develop many of the attributes, character traits and competencies we hope for all students. To be a member of a team, you need to be dedicated and committed to the group. If you want to get better, you need to work hard. Participants will face set-backs, disappointments, losses and injuries, so student-athletes need to develop perseverance and resiliency (or grit, if you will). To be an effective teammate, individuals need to have good interpersonal, communication and problem-solving skills. Preparing for and participating in games also provide tremendous opportunities for creative and critical thinking strategies and skills. As student-athletes get older, managing the demands of academic success with varsity sports develops their personal awareness and responsibility, as they need to be self-regulating, self-determined and balanced young people. In a healthy environment, all school teams nurture a sense of pride, spirit and connectedness for the wider school community, as many other students, staff, parents and alumni will come to games or follow teams and cheer for the school. However, when too much emphasis is placed on some sports, it can lead to a loss of perspective. Negative examples would include adults recruiting kids to move schools and student-athletes focusing on one sport from an early age. Unfortunately, some schools, athletic departments and local newspapers may unwittingly contribute to these negative aspects by the support, focus and coverage a few teams receive. At the same time, other student-athletes, while perhaps not marginalized, often compete in relative anonymity. I am a former high school basketball coach and I appreciate the game, and my own children had the good fortune of playing "higher profile" sports at the collegiate level. However, all sports are equally valuable for developing good people and in an educational setting, this must be our goal, in all things and at all times. At my current school, there is a massive following for the game of Ultimate and I have become a fan. Ultimate is sport that requires a Frisbee (a disc), a pair of cleats and a field. It is a seven-aside game that, at the high school level, is also co-educational and does not require a referee. The students know the rules and call fouls on their own, and it works. Now I imagine some readers are shaking their heads and thinking, "Ultimate isn't a sport, it's a pastime, a recreational or intramural game, like bocce or croquet..." This could not be further from the truth. 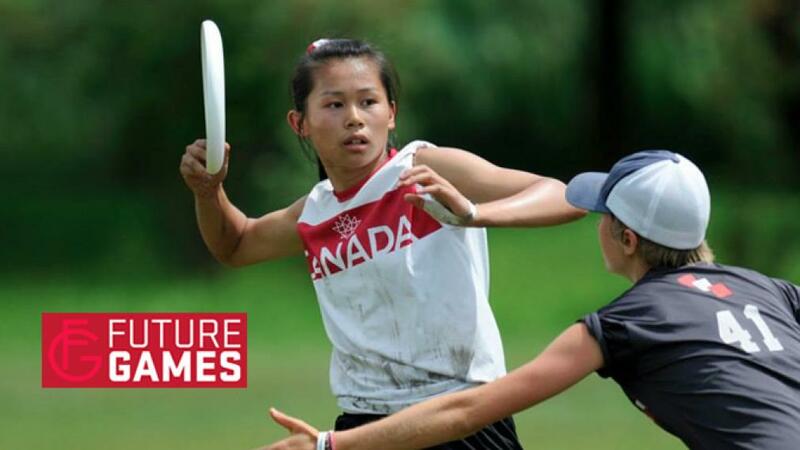 Ultimate requires incredible cardiovascular endurance, right and left-handed dexterity and skill to throw and catch a disc at all angles and distances and in all conditions. The sport demands remarkable speed, quickness and creative strategy and play making. In many ways, it is the perfect high school sport. Inexpensive and accessible; co-educational and without referees; it requires that students compete hard, but play ethically and with respect for opponents and the rules, at all times. Any kid can play as there is no advantage to those fortunate enough to be physically large and strong. There are semi-professional leagues all over North America and Canada has a national Ultimate team. I sincerely believe that it is a future Olympic sport because it is spectacular when played well and is equally accessible to all nations, rich and poor. Indeed, when we consider all of the things we say we are trying to build and develop in our student-athletes, it may be the ultimate high school sport. Check out this short highlight video from the B.C. 2016 High School championships - note that these are junior teams - senior level athletes can be even more impressive. p.s. I dedicate this post to former colleague Iain Lancaster. Iain brought Ultimate to the Richmond high school sport scene over a decade ago and he has been an advocate of the game for years. I was one of those who initially poked fun at his "frisbee team", but have now seen the light. Gaia, dude. Despite your poking fun at the game every chance you got, you've always been a big supporter of both the game of utimate and ANY kid undertaking high school sports. Thanks for everything you've done Jim!